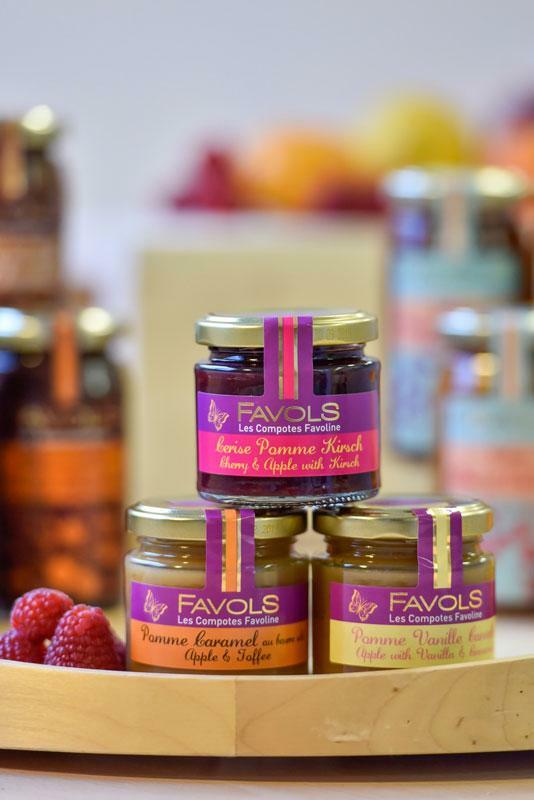 Established in 1966, Favols is a jam maker that pairs tradition with innovation to offer tasty, original and attractive products. It creates new flavours based on numerous gourmet fruits from orchards in Aquitaine and further abroad. These fruits are carefully selected according to freshness, ripeness and taste criteria, and are carefully prepared to preserve the aromas, appearance and wealth of natural aromas offered by the fruit. Favols is uncompromising when it comes to both quality of fruit and its commitment to limiting its impact on the environment and company life. In 2017, Favols was awarded two labels highlighting and strengthening their work towards as transparent and ethical an approach as possible. ‘Bio Entreprise Durable’ certification aims to showcase the organic sector and demonstrate its importance for a responsible diet. Favols is dedicated to an approach of ongoing, sustainable improvement. ‘Entrepreneurs + Engagés’ certification awards business owners who show a daily commitment to being responsible and adhering to an environmentally-friendly approach helping to boost employment in the region. Favols therefore demonstrates its local roots. Favols was one of the first to use gentle sous vacuum cooking at low temperatures in order to preserve more of the fruit’s texture, colour and flavour. It was also a pioneer of 100% fruit preparations, meeting the demand for less sugary products. Committed to uncompromising quality and expertise, Favols uses high-quality raw materials without any added flavourings or other trickery. It has been able to forge strong partnerships with local and foreign producers who ensure strict quality monitoring, from planting through to fruit processing in its workshops in Villeneuve-sur-Lot at the heart of one of France’s most beautiful orchards.